Following in the footsteps of French President Emmanuel Macron and German Chancellor Angela Merkel, UK Secretary of State for Foreign and Commonwealth Affairs Boris Johnson is visiting the US in an attempt to persuade US President Donald Trump not to rip up the Iran nuclear deal, also known as the Joint Comprehension Plan of Action (JCPOA). Though Johnson has not been scheduled to have one-on-one talks with Trump, he addressed the US president through an op-ed in The New York Times and during his appearance on the "Fox and Friends" show. 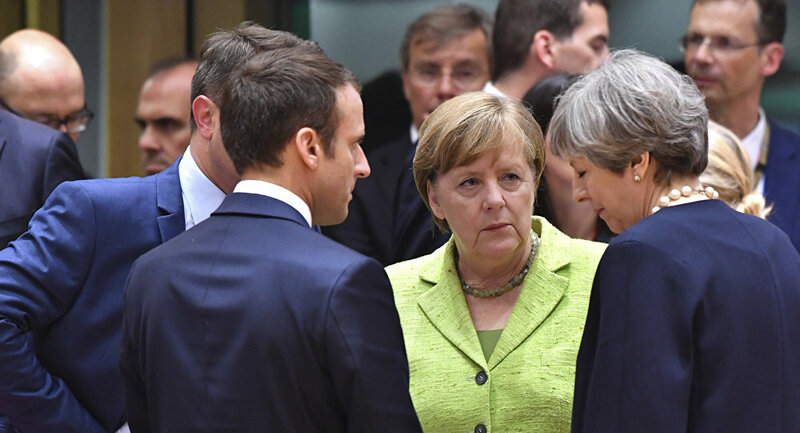 Washington's European allies have just a few days to convince the White House not to pull out as the May 12 deadline set by Trump nears. Sputnik: What role could Boris Johnson play in dissuading President Trump to back out on the Iran deal? Mario Del Pero: It's hard to tell because it is hard to read the mind of Donald Trump. Donald Trump and some of the most important members of this administration, of this cabinet, Secretary of State Mike Pompeo, National Security Adviser [John] Bolton, they want to scrap the deal, they want to leave the deal, to withdraw from the deal. There is clearly a lot of pressure within the administration, one could say in the country, with the public opinion now largely supporting the deal and the US staying in the deal and of course the allies, there is [French President Emmanuel] Macron, then [German Chancellor] Angela Merkel, now [UK Secretary of State for Foreign and Commonwealth Affairs] Boris Johnson and the British Parliament. There is a lot of pressure; so one possible outcome is that Trump will decide to take a kind of middle of the road way and will not withdraw, he will decertify the Iranian compliance and then perhaps leave the matter to Congress. Sputnik: We had the Republican leader of the US House Armed Services Committee Mark Thornberry — he was on Fox News on Sunday and he actually said that it would be a big mistake for Trump to leave the agreement because he would then lose his bargaining power: If the agreement is no longer on the table he would have very, very little leverage to gain some kind of additional terms or something. So, do you think that that is the case? Do you think that the US will have leverage to bargain for additional terms and that Iran will actually be open to this kind of discussion if they do stay in the deal? Mario Del Pero: Clearly, the US is going to lose such leverage if it pulls out. So, as it is often the case, what you have on the table must be measured not just for its contents but also against the possible alternatives. And all the alternatives seem also from the US perspective to be worse. What we have seen in these past two weeks is a kind of common front made not just by the European allies and the other members of the P5+1 group [namely China, France, Russia, the United Kingdom, and the United States; plus Germany] but also by what for the lack of a better definition we can define as the national security establishment in the US. They have all testified in favor of the agreement and [have emphasized] how Iran has so far been compliant. So, there is clearly the attempt to counter the most hawkish, the most ideological elements within the administration. And as I say: "I don't see how the US can gain any additional leverage by simply pulling out and finding itself clearly isolated." The views and opinions expressed by Mario Del Pero are those of the speaker and do not necessarily reflect those of Sputnik.